A tiger prowling for food has killed seven people in northern India in the past two weeks, forcing thousands of terrified villagers to stay inside while hunters try to kill the animal, authorities said Wednesday. 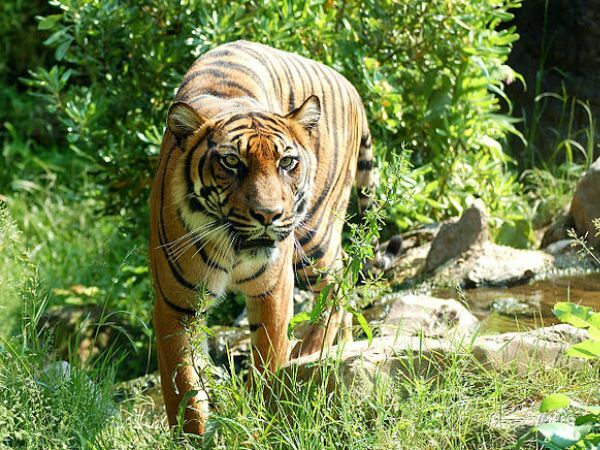 The tiger's latest victim was a woman whose body was found in a forest Tuesday in Uttar Pradesh state, said Rupak De, the Principal Chief Conservator of Forests. The tiger, a female, has been on the prowl across an area spanning some 80 miles (130 kilometers). Reports that a killer tiger was on the loose began circulating Dec. 29, when a 65-year-old man was mauled in Sambhal district. "People are terrified," said Salim Luqmaan, a government official in Moradabad, a forested area dotted with villages where most the killings have happened. "They have been asked not to go near forest areas alone. Three hunters have been hired to kill the tigress." Wildlife activist and member of Parliament Meneka Gandhi has appealed to Uttar Pradesh's government not to shoot the tiger. In a letter to forest officials, she said the animal was only attacking people because it is hungry and would spare humans once it returns to its natural habitat. She said the Uttar Pradesh government should capture the tiger and release it in the neighboring state of Uttarakhand.